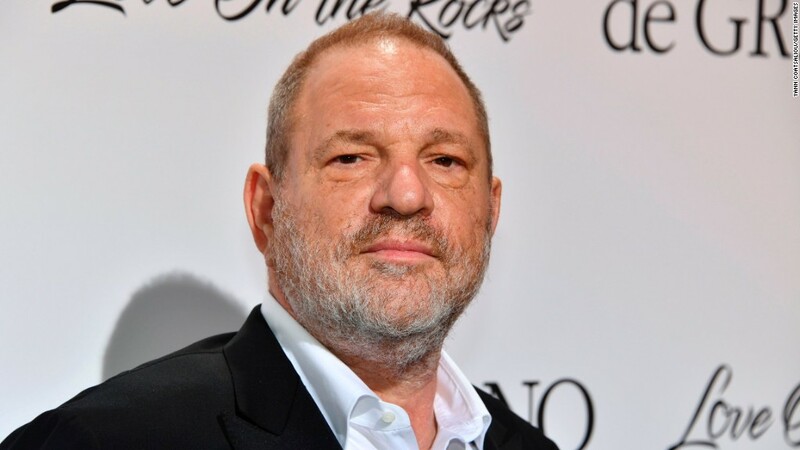 Add Oscar-winning producer Harvey Weinstein to an ignoble club -- the list of powerful men in Hollywood and media accused of sexual harassment. The New York Times' extensive report on the alleged history of Weinstein, 65, follows accusations against a number of other men -- most in their 60s and 70s -- who grew up within the business at time when people looked the other way, or such encounters were tolerated and written off as "boys being boys." The particulars, it's worth noting, differ significantly, but there's a common sense of entitlement, and until just the last few years, a historical lack of consequences. Bastions of wealth and power like Hollywood and Washington have long been characterized by unequal relationships, and it's hardly shocking to see an executive, producer or star with much-younger women on their arms. Yet the potentially coercive nature of such work-place interactions was often overlooked. In addition, someone like Ailes generated millions, even billions for the company that employed him, making it hard to envision a scenario where alleged misbehavior would be enough to derail those money trains. It's difficult, even now, to discern when the turning point came, or indeed if it actually has. The sexual-assault charges brought against Bill Cosby in 2015 -- which ended in a mistrial in June -- were seen as a milestone. Last year, the Los Angeles Times suggested that older men in positions of authority preying on younger women had "finally, and collectively, become news." As the Times story makes clear, there were plenty of people allegedly in a position to be aware of Weinstein's actions, which didn't dissuade many from working with or for him. As clichéd as it sounds, in an industry where approval is so subjective and well-connected relationships are so highly prized, fear lingers about crossing people with a demonstrated ability to advance one's career. Weinstein's statement that he is taking a leave of absence -- which specifically noted that he "came of age" in a different era -- represents a departure from the responses issued by Ailes, who remained combative and defiant until the end in the face of a roster of sexual-harassment accusers. The executive called Gretchen Carlson's initial claims "false" and retained that posture as others stepped forward. Clearly, we didn't get to this point in a vacuum. Perhaps that's why it's still going to take time for reality to catch up with more enlightened attitudes, as these spheres occupied by the rich and powerful advance from statements of contrition, like the one Weinstein issued, to genuine change.